Last week, we talked about how teamwork and good internal relations improves the work environment and the service you give. I want to touch on the last four types of difficult personalities covered in The Colors of Customer Service Training Kit. 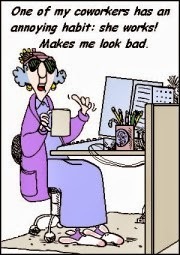 This person isn’t the boss but that doesn’t stop them from acting like one! They like to tell you what you should do and how you should do it. If they can give you work or critique your work they will. Let them know you have a full plate. If they continue, refer them to your boss. This person is in constant communication with the boss about who is doing what. They feel a responsibility to report on everyone’s actions. Do not share personal information with this person. Let them know that you already have excellent communication with your boss. This person thrives on conflict. Everything becomes a battle. Do not give them an emotional response. Remain neutral and concentrate on the facts when speaking with them and not giving your opinion. This person avoids work at all cost. You usually end up picking up their slack. Set clear expectations and deadlines. Stick to your guns when they start to weasel out of their responsibilities. Always try to confront these people directly and maturely. If that doesn’t work, start keeping a paper trail, emails and other correspondence that show their behavior. Also keep a journal of the dates and times of any events or behaviors along with details of exactly what happened. This way if you have to approach a boss or Human Resources, you’ll have more than just your word to back you up. Part of giving great customer service is working productively with your co-workers. Teamwork, respect and cooperation go a long way to improving the quality of your day as well as the quality of the service you deliver. If this was a perfect world, everyone would come to work focused, dedicated and ready to get the job done. However, we don’t live in a perfect world! 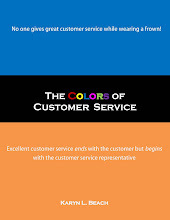 In The Colors of Customer Service Training Kit, we discuss ten types of difficult co-workers and how to handle them. This person has something to say about everything and everyone and most of the time it isn’t positive or constructive. Keep your responses neutral. Do not agree or disagree. “Who knows what really happened?” or “I don’t know what to say about that are good options. This person is never happy. They don’t see the silver lining, they just gripe about the cloud! Respond with a positive. Find the good in the situation and go with that. Don’t join them! This person loves to pass your ideas and hard work off as their own. Without any defensiveness, tactfully acknowledge their contribution as well as your own. This person always has something going on. They often overreact and act on assumptions they make. This person will often take advantage of your sympathy. Set boundaries, let them know what you can and can’t do. Don’t be afraid to say no. Next week, we’ll take a look at the final four kinds of difficult co-workers: The Accidental Boss, The Tattle-Tale, The Fighter and The Lounger. You know you love the rush! 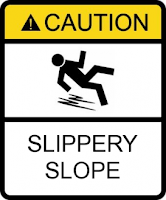 Careening downward on that roller coaster or flying down the mountainside while skiing. It's truly an incredible and exhilarating feeling. But when you are careening down the path of disastrous thoughts and improbable what-ifs it doesn't feel quite so good. In fact, it's pretty nauseating. You get called into the boss's office. There were some problems with the report you submitted. Thirty minutes later, after a number suggestions, revisions and criticisms, you leave with your tail between your legs. "I'm skating on thin ice," you think as you gather your stuff and head home for the day. "What if I get fired?" As you pull out of the parking lot and start the drive home, you also start the mental free fall down. By the time you get home, you've lost your job, your house, your spouse and have developed a serious alcohol problem. All because you had a discussion with your boss. Visions of food stamps and homeless shelters dance in your head as you pull into the driveway. But wait a minute! Is it really that bad? Of course not. It wasn't a great meeting; but you didn't get fired. In fact, you got some valuable information and feedback and you know what to do better next time. When you find yourself perched at the top of that slope, stop yourself before you start by asking yourself how likely all of that terrible stuff is it to happen. How likely is it that you will be fired? 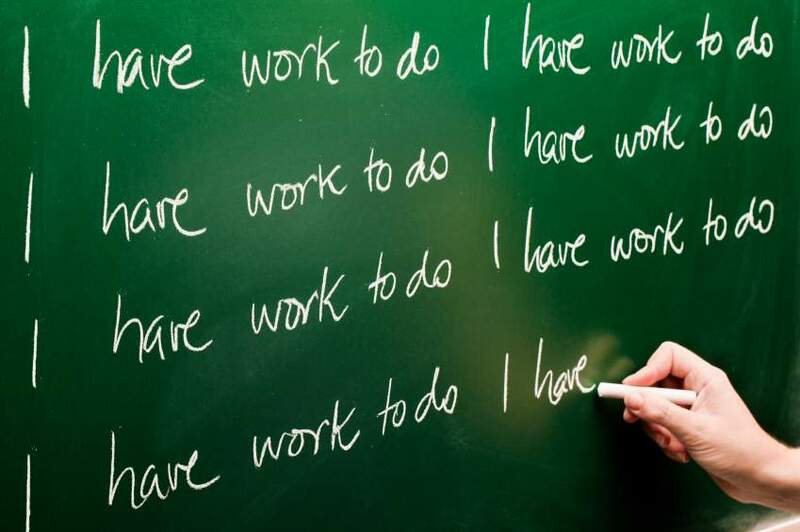 If you are fired, what is the likelihood that you will not be able to find any work at all? What are the chances that you would become homeless or that your spouse would leave you? As you start challenging the assumptions, you will find that the likelihood of all that other stuff occurring decreases. Another techique involves just asking yourself better questions. Instead of "Why Me?" ask, "What can I do differently next time?" Instead of asking "What if I lose my job?" ask "What can I learn from this?" Focus on the positive and proactive things you can do to change the situation for the better. Save the slopes for skiing. 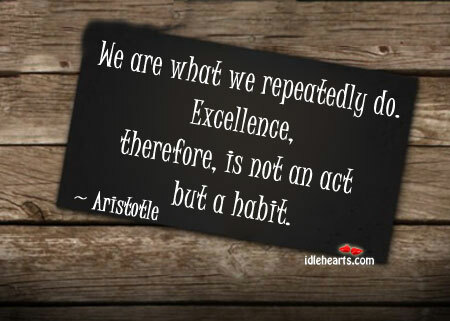 One of my favorite quotes is from the ancient Greek philosopher Aristotle who said, “We are what we repeatedly do. Excellence, therefore, is not an act, but a habit.” There is nothing like the sports, professional and amateur (like the Olympics) to illustrate his point. These athletes have made a habit out of excellence. More specifically, they have made habits out of the very things that make excellence possible: a rigorous practice schedule, a coach who holds them to the highest of expectations - expectations that they also have for themselves. Their diets, their sleep schedules and all of the sacrifices they make in pursuit of their goals, makes excellence more than a possibility. For them, it's a reality. It's within their reach. The gold is theirs to grasp. These athletes, at the top of their game have learned at a young age that there are no shortcuts. You have to do the work. You have to put in the effort. You have to have the focus. When you fall, you have to get back up and go at it again, and again and again. Not everyone can be an Olympian or a professional athlete, but we all can make excellence a habit. We can set higher goals for ourselves and then do what it takes to reach them. Think of what an Olympian like effort could do for you. Maybe you'd be a better parent, maybe you'd double your sales or get that promotion. You could finish writing that book or eradicate that credit card debt. You could finally lose that weight once and for all, maybe you'd conquer your fear of heights or public speaking. Think of how much your life could improve if you made excellence, and the activities it takes to create it, a habit. I’m a big fan of Steven Covey’s 7 Habits of Highly Effective People. My favorite habit (yes, I have a favorite!) is Habit 3: Putting First Things First. The Habits are designed to be mastered sequentially and this one comes after learning to be proactive and to begin with the ending in mind. By Habit Three, the reader is ready to start living their priorities. This is the time to bring the most important things to the forefront. In order to put first things first, you have to have the time. What things am I talking about? Exercise, eating healthy, quality time with family, friends and the significant other, prayer and meditation, professional development, hobbies, writing the Great American Novel, these are the things that we say we value but we often put aside. Why? Most often, we simply don’t have the time … or so we say. Take a moment and look up at the banner of this blog. What does it say? LOSE THE EXCUSES! More often than not, not having time is just that, an excuse. Covey has a simple but dramatic four quadrant square that illustrates where we are currently spending our time and how we can reallocate it to make time for the things that matter most. The quadrant tracks two concepts – urgency and importance. Quadrant One is the Quadrant of the Procrastinator. Things in this quadrant are both urgent and important. This quadrant is where we are when we are rushing to get that report in by the deadline or stay up all night cramming for the test. It is the quadrant of car trouble, and even heart attacks. Quadrant Two I’ll talk about last. Quadrant Three is the Quadrant of the Yes Man. Things in this quadrant are urgent but not important. We are in this quadrant when we let interruptions (chatty co-workers, non-urgent phone calls, immediately answering non-essential emails) take us away from what is more important. Some meetings fall into this category and things that are important and urgent to others but aren’t important to us appear here too. Quadrant Four is the Quadrant of the Slacker. 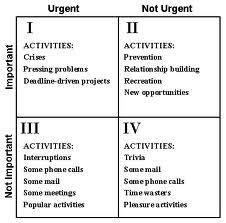 Things in this quadrant are neither urgent or important. Some time spent surfing the net, watching TV or napping is a good thing. We all need down time and relaxation. However, if you are spending too much time here, it is a problem. Quadrant Two is the Quadrant of the Prioritizer. Things in this quadrant are not urgent but they are important. This is where we should spend more of our time. This is the quadrant of planning, relationship building, exercise, planning, and prevention. The lack of urgency sometimes makes these important tasks take a back seat to Quadrant 1. However, spending more time in Quadrant Two reduces the amount of time we spend in the first quadrant. A little planning and time management and the adrenaline-filled rush to complete the report or the caffeine-fueled cramming session could have been avoided. A little preventive car maintenance could have eliminated the car trouble. It’s possible that making time to exercise, prepare healthy meals and visit the doctor, the heart attack might not have happened. We can also work on spending less time in Quadrants Three and Four. Begin managing your interruptions. Hold people who drop by to a time limit. Let them know you have five minutes or so to talk and then you have to get back to work. Five minutes later, give them a better time to continue the discussion, if necessary. Use technology to your advantage. Check your Caller ID and voicemail. You don’t have to answer every phone call. Return calls when you have the time. Likewise, set a time to return emails. Use the flag feature to keep them from falling through the cracks. It is easy to end up spending too much time in Quadrant Four. After all, time flies when you are having fun! Give yourself a set amount of time for your activity and then use a timer to reinforce that. Make the time for the things that matter most. This is where life is lived and memories are made. With Labor Day weekend a full week behind us and the new school year in full swing, it's safe to say that summer is over. Unless we work for the banks or the federal government, most of us won’t get a long weekend until Thanksgiving. And that's a few months away! It’s time to get back to work. Here are some tips I use for getting the job done. 1. Plan Your Days: I have a weekly planner. Throughout the day, I jot down upcoming tasks and place them on the day I plan to work on them. Before I leave for the day, I give my list another once over, focusing on things I need to do the next day. This goes a long way to eliminating that feeling that I’ve forgotten something or that something will fall through the cracks. 2. Set New Goals. Look at what’s on your plate and decide what you want to accomplish in the next month, three months and six months. 3. Clean It Out: There is a fascinating statistic that says 80% of the things we file, we never look at again. If you find you have some down time, spend a few minutes going through your files. If you have it electronically, you probably don’t need the paper copy. If the project ended years ago, keep a few pertinent summaries and maybe the finished product and get rid of the rest. If you are feeling really bold, tackle your electronic files. Delete what you don't need. Move old versions of reports and documents to an Archive folder and organize the rest. 4. Reestablish Your Routine: It’s not just for kids you know. Make a point to get back on track – have a consistent bed time and wake up time. Holiday splurges are over so get back into the habit of making healthier food choices. 5. Remember What You Like About Work: It might not be the job of your dreams but there must be a few good things about it. Coming back to work shouldn’t be a complete downer! Think out what you enjoy about your work: favorite co-workers, the work you do, a favorite lunch spot. Focus on what you enjoy about work and you’ll experience a lot less dread and negativity! While sitting at your desk, you decide to ‘straighten it up.’ Afterwards, you decide to clean out your inbox and color-code your mail. Then you go to lunch. When you get back from lunch, you realize that you have a stack of documents that need to be filed, so you tackle that. Afterwards, you call your doctor’s office to make an appointment, which reminds you of a question you had about your insurance. You spend a half-hour online trying to get the answer. Now, it’s time for your staff meeting. Returning to your office, you now have a half-hour left as you prepare to work on the presentation that’s due the day after tomorrow. You throw your hands up in frustration as you wonder, where did the time go? Granted, you were ‘busy’ all day. But what did you accomplish? Busy looks good. Had your boss walked by and seen you filing or researching on your computer, you would have appeared to be working hard. Busy feels good. You are active and you are doing something. And although it’s nice to have a clean inbox and to have your papers filed, when you look at the tasks on your plate, did any of it help? The answer is to focus. You need to start your day with a purpose and a focus. Today, I plan to _______. By the end of the day, I will have _______. If to-do list or scribbling it on a post-it note helps, do it. Regardless, whether you write it out or just think about it, know what you will focus on and then follow-though. 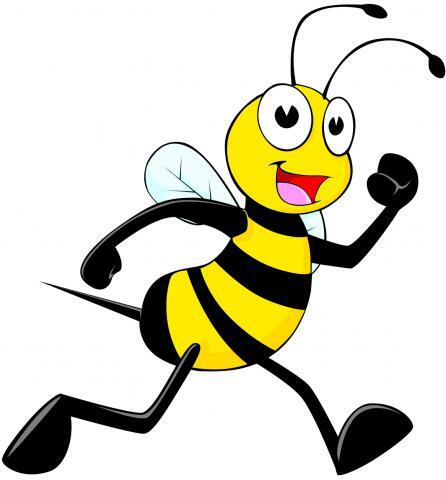 After you’ve accomplished your tasks, then look around for the ‘busy work’. Then and only then, after the important tasks have been accomplished, do you clean your inbox or tackle the filing. Also, realize the role that procrastination plays in busy work. Often, we chose the easy busywork because we don’t want to do the important work. Breaking down those big important tasks into smaller more manageable ones can help you get started. In fact, you can use some busy work to reward you when you accomplish one of the smaller steps of your project. If you are procrastinating on your project because you need information or instruction, ask. It's better if you write out or think through the questions you want to ask and then make an effort to ask them early into the project. Don't wait until a day or week before the project is due to ask the basic questions.